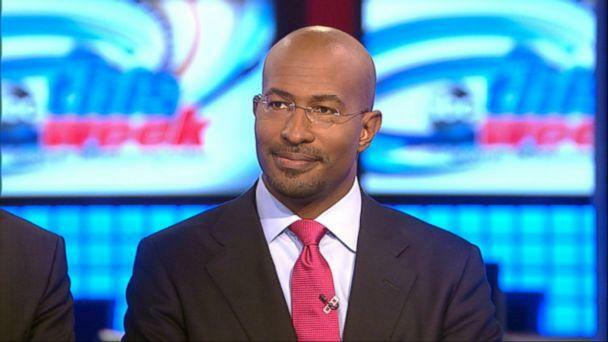 This morning on "This Week," Crossfire co-host Van Jones, a former Obama administration official, said the president would "pay a price," for reversing course on his now famous promise that those Americans who like their plans could keep them if them if they wished under Obamacare. ""And he overpromised. And he will, listen, he will pay a price. 'Mission accomplished,' you pay a price. 'No new taxes,' you pay a price. 'You keep your plan,' you pay a price," Jones said. During his appearance on the "This Week," roundtable Jones also tweaked the Obama administration for being too ambitious with Healthcare.gov, which has been plagued by problems since its launch last month. "First of all, they tried to do too much on this website, you could just have the website where you allow people to shop and then they could just call in, I mean, they tried to do too much and I think part of it was because it was a central thing they did, they tried to do too much," he said. White House senior adviser Dan Pfeiffer, who appeared on "This Week," defended the president. "If the president didn't intend to keep this promise, why would he have gone out of his way to put a provision in the law that specifically says that if you have a plan before Obamacare passed, you can keep that plan," he asked. Jones also took the Republicans to task for what he described as hypocritical behavior. "It is amazing to me now to see the Republican party now become the party of Ralph Nader. They're the biggest consumer protection operation in the world now but 6 months ago, we had people who were getting these same cancellation notices and the Republican party was silent," Jones said. Go here to find out when "This Week" airs in your area.